An exclusive panel discussion has been put together at Lyophilization USA to discuss the different processes and fundamental steps to optimize manufacturing performance. – The challenges with continuous freeze drying and how to overcome these. – Methodology to reduce the processing time of the fundamental steps. – Areas in need of innovation with regards to lyophilization. Tempris Sensor Technology (developed by iQ-mobil solutions GmbH), are delighted to be sponsoring Lyophilization USA, and will be presenting their topic which will discuss how their technology allows to capture valuable temperature data, wirelessly to evaluate the robustness of the Lyo processes. – Characterization and qualification of FDs. – Determination of critical positions. – Temperature data to evaluate the robustness of Lyo processes. Kelly from GSK Vaccines will be focusing on lyophilization and solid-state formulations. Her research expertise is in lyophilization and solid-state formulations. – Understanding how and when phase separation occurs. – Methods utilized to detect phase separation. – Impact of formulation components and process parameters on phase separation. – Significance of phase separation in lyophilized formulations. This session will involve assessing the variables of product properties, to the development of optimized cycles and scale-up strategies, presented by one of the world’s leading pharmaceutical companies. – Influence of annealing on resistance and primary drying for IGG molecules. – Assessing the variables depending on product properties. – Modelling Lyophilization processes to develop optimized cycles and scale-up strategies. Gain a full end-to-end perspective and join the conversation in off-stage discussions, interactive presentations and structured networking activities, by attending our interactive workshop presented by Arlenda. Further details available online. 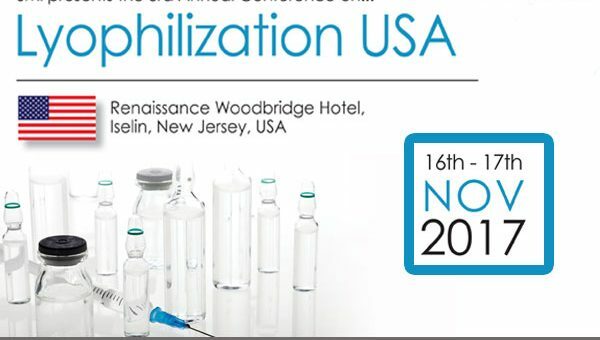 Lyophilization USA will address technological problems ranging from the processes of pharmaceutical packaging, wireless data loggers and thermocouple systems for thermal validation processes, bulk processing to formulation research and development, and clinical phases to full-scale pharmaceutical and biopharmaceutical manufacturing.